In this post we will see continue setting up our game world. In the Project panel, create a new folder by right clicking on Assets and navigating to Create->Folder. Name it as Materials. Create a Material by right clicking on Materials folder and navigating to Create->Material. Name it as GroundMaterial. Click on this newly created material and you will see something like the image below in the Inspector panel. Create a new folder called Images by procedure as in step 3. Download the image below and copy it to the newly created folder. Select the material which was created in Step 2, and in the Inspector panel, click on Select, to give a Texture to the GroundMaterial, and select the image that you downloaded in Step 3. 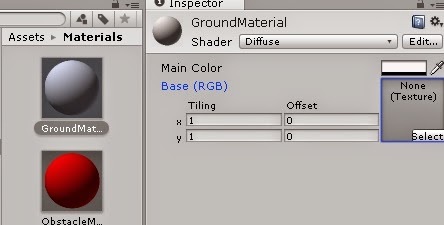 Now, add this material to Ground in Hierarchy panel by simply dragging and dropping the GroundMaterial from the Materials folder. Once done with this you will notice that your Ground has a nice Texture to it. In a similar manner create materials, for the walls that you have created in the last post, and add it to them. 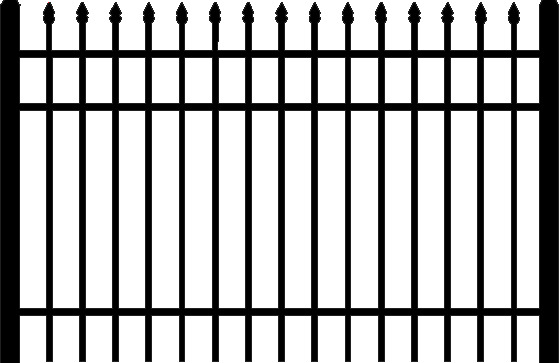 You can add the below image as a texture to the walls. I cant see the image of the ground what should i do? the option of dragging the material to a ground hirarchy isn't acceptable what should i do?? ?